In Search of Earth’s Secrets is a special project that brings the JOIDES Resolution and its exciting science to communities around the United States! In Search of Earth’s Secrets is a 5-year project designed to create exciting “pop-up” science events in the style of pop-up restaurants, stores and art fairs. Bringing high quality earth and ocean science content to rural and urban communities with traditionally underserved populations will create a buzz about the intriguing discoveries done around the world’s oceans and create opportunities for further learning. The project involves working with libraries, Girl Scouts and other youth organizations, program scientists, educators, and museums across the country. The In Search of Earth’s Secrets exhibit allows audiences to enjoy hands-on experience while learning about exciting science topics researched by the JOIDES Resolution such as earthquakes, volcanoes, and the extinction of the dinosaurs. Learn more about the topics covered in the exhibit by visiting here. Watch the trailer for the Stories from the Cores video game that is part of the In Search of Earth's Secrets experience! Check out the calendar below for past and future locations of the Earth’s Secrets exhibit. Are you interested in bringing Pop-Up to your community? We will be looking for new communities to Bring In Search of Earth’s Secrets to for 2019, 2020 and 2021! Educators, families, museums, youth organizations, libraries: Please fill out this form. The In Search of Earth’s Secrets exhibit also offers the opportunity to bring scientists and educators who have been on the JOIDES Resolution to your site to talk to the people in your community. The map below shows scientists and educators interested in outreach who may live in your area. 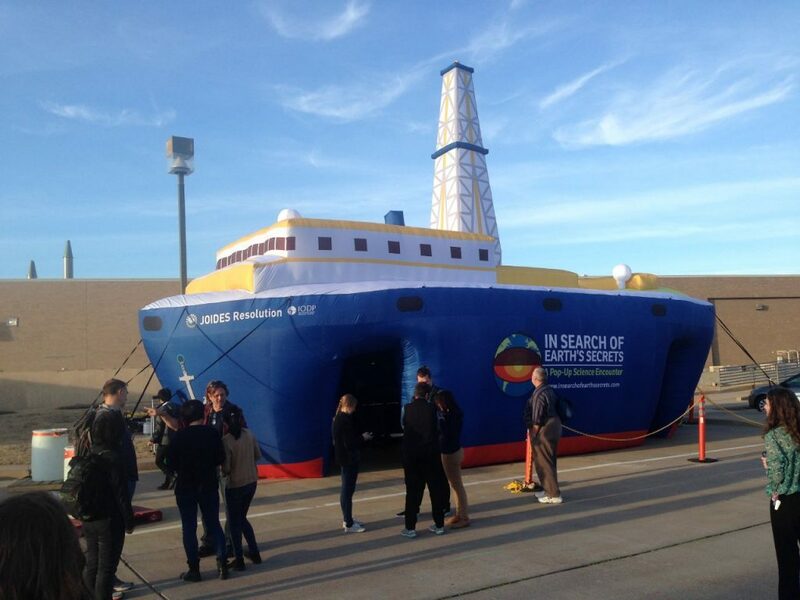 Increase access to and awareness of ocean/earth science and careers especially in disadvantaged communities, by bringing the activities, exhibits and scientists themselves to non-traditional venues ranging from block parties, local festivals, malls and parking lots to libraries, museums, and science centers). Create a sustainable model for STEM learning in informal environments. Increase interest in the scientific drilling and research activities of the JOIDES Resolution among the general public (children, teens and adults) who attend the PUBs and Drill Down events. Foster partnerships between educators and scientists that lead to broader dissemination of scientists’ research and the larger vision of NSF. This project is funded through NSF Award #1515856. 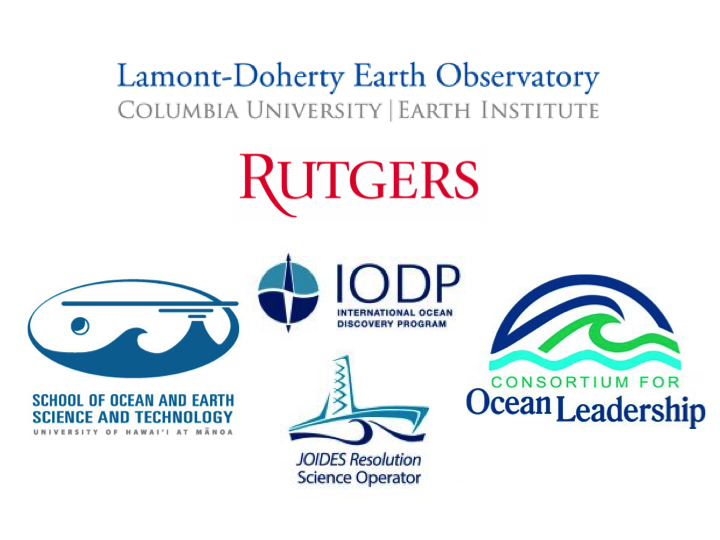 It is run through a partnership with the Consortium for Ocean Leadership, Lamont-Doherty Earth Observatory of Columbia University, Texas A&M University at College Station, Rutgers University and the University of Hawaii. Read articles about the exhibit’s travels and events! February 17, 2019. “American Museum of Natural History Presents: The Layers of the Ocean (Milstein Science Series).” Mommy Poppins. July 19, 2018. “Library Exhibit Explores the Ocean’s Secrets.” The Rockaway Times. April 2, 2018. “PHCC hosts unique ocean science exhibit.” WSLS10News. February 1, 2018. “Pop-Up Science: Local residents study new JOIDES exhibit.” Martinsville Bulletin. January 10, 2018. “A Deep Dive: Martinsville plays host to national exhibit.” Martinsville Bulletin.